We’ve all heard about decoupage and how it’s the art of layering images on top of each other for different effects, but do you all know about the different types you can get and what tools/materials you need for the best possible results? 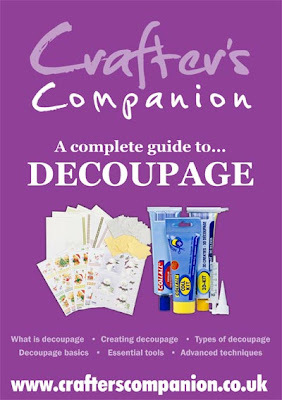 Over on the Crafter’s Companion website there is a guide to decoupage that you can download completely free of charge that takes you through all the basics to ensure you get the most of your decoupage sheets. Pop across by clicking on the image below to download your guide!